Local independent businesses are gearing up for Small Business Saturday this coming weekend on 3rd December. MP Ruth Cadbury has been visiting local participants in Isleworth Brentford and Chiswick to see their preparations. 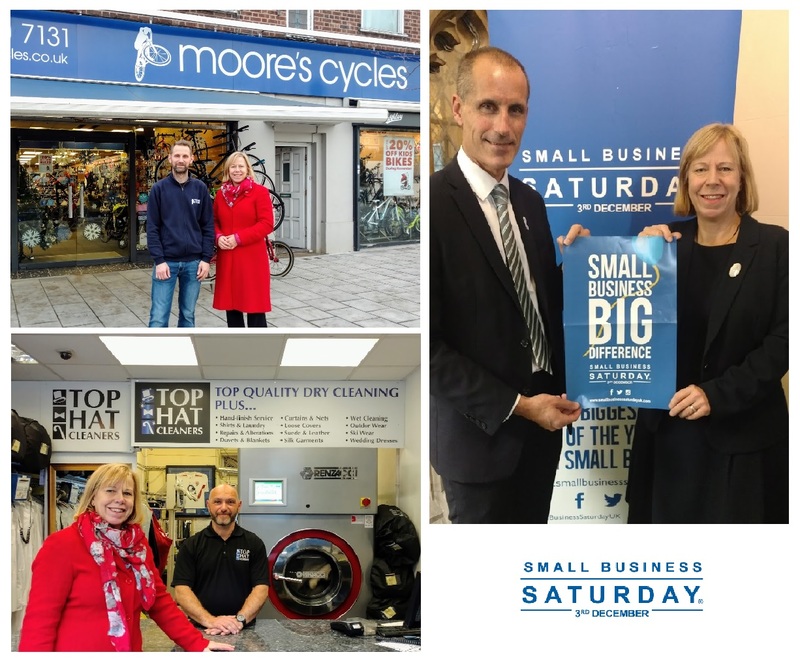 "Small Business Saturday is a great national event that encourages us all to do our Christmas shopping locally, and support local enterprises." Said Ruth. "From classy chocolates and quality bikes, to dry cleaning and shoe repairs, with a stop off at a great community cafe, my featured businesses show that you can get ready for Christmas without going on-line or into Central London". She is also looking forward to another annual Inspiring Isleworth Christmas Market on the afternoon where many more local small businesses will have stands.